There’s no two ways around it – a bathroom can make or break a house sale. It doesn’t matter how great the rest of your house looks, if the bathroom is ugly, outdated or dirty, it can really turn-off a would-be buyer. 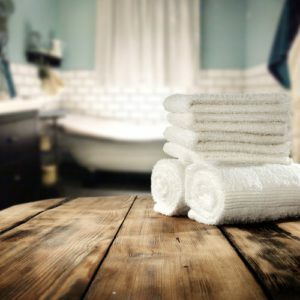 It may not be a fun job, but now is the time to clean the bathroom from top to bottom. And don’t skip all the nooks and crannies where mold can camp out. Get out your bleach and toothbrush and get to work until that bathroom shines. This includes removing soap scum and residue from showerheads and doors. The bottom line is, you don’t need to spend a ton of money on a total bathroom overhaul when you’re selling. Simply invest the time in cleaning and make smart choices about staging, and your bathroom will make a good impression on buyers. Call Lucretia Ramey today if you’re thinking about selling your home!